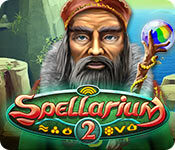 Spellarium 2 is rated 4.2 out of 5 by 21. Rated 5 out of 5 by joannes0 from Love these I love these games. They're challenging, fun, and it's a little more than just your regular match 3. This particular one, I love the colors of the gems in the game. Very beautiful. Rated 5 out of 5 by Boomer1097 from Another Turn in Spellarium This game is so much fun to play. There are 110 levels and mini games after every 5 levels or so. You are once again helping the Wizard create a temple, but this time there is a seventh element in addition to the original six (earth, fire, water, air, light, darkness). The graphics are very nice. Game play is so much fun and challenging enough to keep your interest. Read the instructions, they are very helpful in understanding how the boards work and how to obtain power-ups. 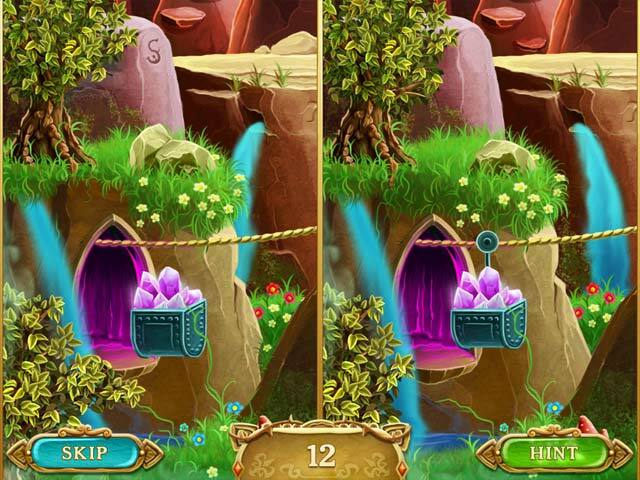 The mini games consist of a solitaire-style card game, find-the-difference scenes and HOS. The HOS and find-the-difference scenes are challenging, which I really enjoyed. The Wizard moves the story along, but there isn't too much reading involved, which was nice. I played the game in relaxed mode, but there is also a timed mode. I highly recommend this game, along with the original Spellarium. Rated 5 out of 5 by JaneAustenFan from Wow! I bought this game due the glowing review of a reviewer whose opinion I trust and was baffled at first by the complicated instructions. When I reached the 5th board and simply could not get the keys into the locks and didn't understand why the dynamite didn't drop down when I exploded tiles under it, I nearly tore my hair out with exasperation! This game wasn't living by the rules of the previous match 3s that I'd played. Then I found a cheat online for my key situation--and the penny dropped, the skies cleared, the rainbow appeared, and I finally realized that, duh!, this WASN'T like other match games--it was much greater! This is super-fun and challenging. It also has great re-play value. I'm going to seek out the others in this series. Rated 5 out of 5 by pedz69 from Spellarium 2 Great match 3 Fun, Great effects & Gameplay If you're into unusual match 3's this is a great game. 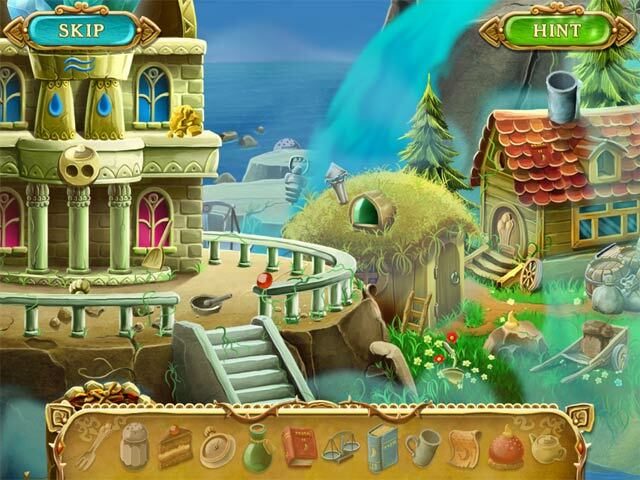 The game comes from the very well respected Cursed House stable and follows similar gameplay, but with more features. 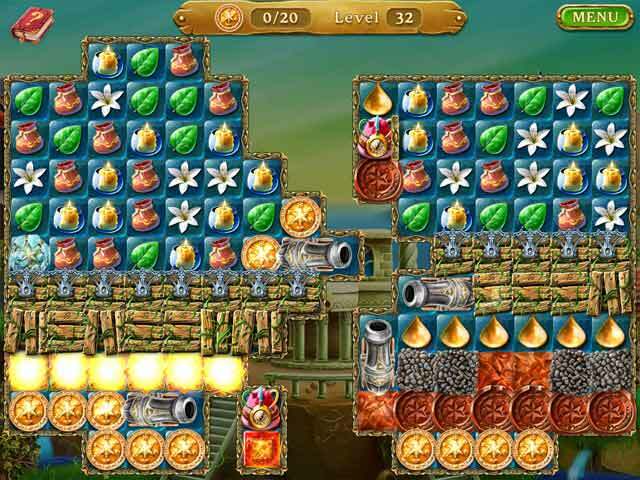 The level of challenge is good and requires some thinking to get the most powerful power ups. Having said that this game is intuitive and full of noisy surprises and effects. The game screen is very busy and unlike cursed House it will give you some tips if you wait too long. There is a good help guide if you need it but try to work out the various tricks and solutions before you resort to it. In my opinion one of the best and interesting M3 around. Try it you won't be disappointed. Rated 5 out of 5 by verimeri from another hit From the makers of so many great games, Laruaville, Cursed House, Floria, Spellarium 1 comes another fun game. I do hope these developers continue to create games. The only thing wrong is- could you change the bug? The ladybug is perhaps one of the most harmless and helpful of bugs. Maybe turn her into a spider or a scorpion or anything but an innocent little ladybug. Rated 5 out of 5 by raydog from As great as the first one! I bought this game as soon as I saw it without a trial. Loved the first version although the wizard has a bit of a chip on his shoulder this time. The levels are challenging - not the usual mindless matching. You have to figure out what you need to do first to get through the levels. I am a big fan of anything Laruaville and this is on the same line. I love the powers ups, graphics and building the structures. Rated 5 out of 5 by KatesMomWA from Puzzle/Logic Style Match 3 I loved the first game in this series and was pleased to see a second one. Yes, the game play is similar to the first, but the boards are different, so that makes the game interesting. The reason I enjoy this game is because each board has a puzzle-like setup requiring some logic to solve. To me, the replay value is there as well...I like to play with limited moves and see how few moves I can use to solve each board. Taking a moment to look at the board before you start matching will help. Figure out which components need to be eliminated first in order to move through the board successfully. The ability to move dynamite power-ups makes it even more interesting from a logic standpoint. Further, exploding power-ups may or may not require the cost of a move (if playing limited moves) so thinking about how and when to use them adds to the fun. Since I enjoy match 3 games and also logic style puzzles, these two games are perfect for me. I have played the first one over and over so I am pleased to have a second one with different boards to shake up the replay value. Rated 5 out of 5 by denniann2 from fun M3 game i am getting into the M3 games more and more. i have a memory problem and sop the HOs ones i have some problem where things go and where i need to go in them. i still enjoy them but M3 so much less complicated for med.